From the instant Ron Moore and Diana Gabaldon announced my involvement in Outlander as the series composer at the fan event last January, I have been overwhelmed by fan support and enthusiasm. Every day, I see comments from fans eagerly awaiting the moment when they can hear what I will bring to this iconic franchise. I know how much this series matters to you, and how important it is that every aspect of the story is treated with respect and passion in translation from the page to the screen. I am very touched that Outlander fans have placed this tremendous faith in my work, and I hope that my music will live up to, or surpass, the very high expectations. With the premiere of Outlander on STARZ just a few weeks away, I want to introduce myself to you all, to tell you a little about where I’m coming from and what I hope to accomplish with my score for this series. I have only visited Scotland once so far, when I was a very young child, and yet Scottish music and culture has been an obsession of mine for nearly my entire life. Growing up in Bellingham, WA, my friends and I attended the Highland Games every summer for over a decade. This was the highlight of the summer for me, watching the Caber Toss and the bagpipe bands while wolfing down copious amounts of red meat. First hearing the rolling and relentless Bb drone of the bagpipe bands get louder as we parked the car and headed towards the grounds gave me the euphoria that most little kids probably feel going to Disneyland. After spending a solid day there, that drone would burrow into my brain, so deep that I could recall it for days, like a residual echo. When Rob Roy and Braveheart came out in the same year, I saw them each in the theaters ten times. When I learned to drive, I cruised my hometown blasting bagpipes from my car speakers. Towards the end of high school, I began researching songs of the Jacobite Uprising and the century that followed. I was awestruck by the ability of these songs to communicate hidden meaning, tales of tragedy and triumph, with deceptively simple melodic lines and evocative harmonic progressions. At the later end of that spectrum, the texts of Robert Burns and Robert Louis Stevenson in particular struck me. I realized how the evolutionary threads of American folk music, Appalachian and bluegrass in particular, traced back to Scottish heritage. Shortly after high school, I picked up an accordion and began playing folk tunes, transcribing my own arrangements and composing new harmonic progressions for classic melodies. I carried this passion with me into my professional life. 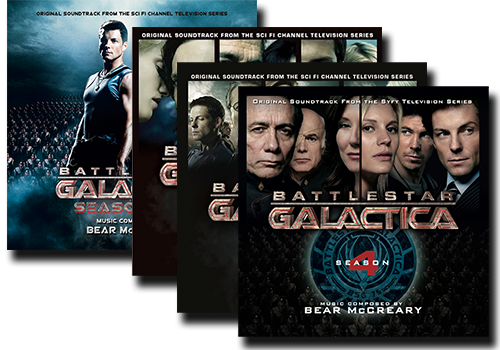 My first job as composer was scoring Battlestar Galactica, where I also first collaborated with series creator and executive producer Ronald D. Moore. Though grounded in a gritty, post-9/11 tone, Battlestar took place in a completely fictitious culture, seemingly with absolutely no connection whatsoever to our world. I was free to introduce whatever musical sounds the producers and I liked for the narrative. In that score, I acknowledged my personal musical heritage by introducing the Scotch-Irish instrumentation and language of my paternal side of the family, and the Armenian duduk and language of my maternal side. Post-Battlestar, I found that the industry as a whole was wary of hearing Scottish influence in scores. In my naiveté, I excitedly bragged to a prospective client that I would love to use bagpipes in their score… and then I lost the job. My next step was to not say anything in advance, and then just record bagpipes, pennywhistle or fiddle, and see if any of the producers noticed. More than once, I’ve watched a producer’s face scrunch up while listening to my demos, before saying “is that a… bagpipe I’m hearing in the background?” I was forced to put my love of Scottish music aside and save it for a project that would actually embrace it with shared enthusiasm. Now that you know me a little better personally, let me introduce myself musically, and give you an idea of what to expect with the score for Outlander. I grew up listening to the great film composers, such as Jerry Goldsmith, Elmer Bernstein, Ennio Morricone, John Williams, Nino Rota and Bernard Herrmann. I developed an ear for acoustic instrumental performances and thematic writing that influences me to this day. In Outlander, you will hear all-live performances of orchestras, small ensembles and specialty soloists. There are character themes woven throughout the score, ranging from subtle little gestures to full-on sweeping love themes. The best way to introduce the style of writing I’m bringing to Outlander is to highlight some of my past works that brought me here. These are Outlander’s musical ancestors, scores that helped me explore techniques that would prove vital to my work on this series. These are also scores that I imagine Outlander fans would just really enjoy. (*Note: if you want to check out the albums in question, I’ve included links to iTunes for your convenience. 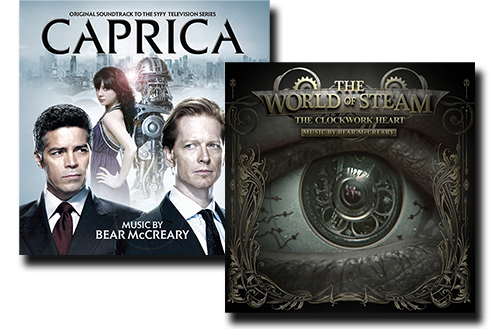 In almost cases, the albums are also available via Amazon MP3 or on CD from various retailers). INFLUENCE: My score for Da Vinci’s Demons was my first collaboration with STARZ, and my most complex thematic narrative in years. Dozens of character themes weave through the score, including the folk-influenced “Lucrezia Donati” Theme performed frequently on the Celtic Harp, an instrument I will use throughout Outlander. Renaissance instrumentation generally predates the Outlander era, however the Viola da Gamba survived from the Renaissance to the Classical era, so you will hear it prominently in both scores, played with the period-accurate performance technique of each time period and region. 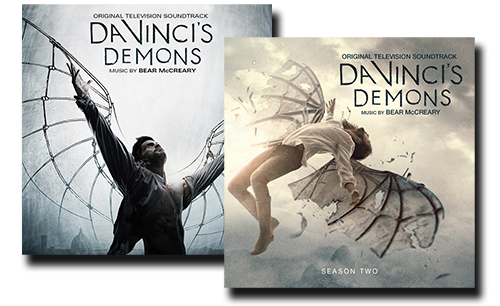 I personally feel that the Da Vinci’s Demons Season Two album is my strongest album to date. The composition of this record led straight into my work on Outlander, so there is a direct connection between the two in my mind. Writing this music is what put me in the headspace I needed for Outlander. 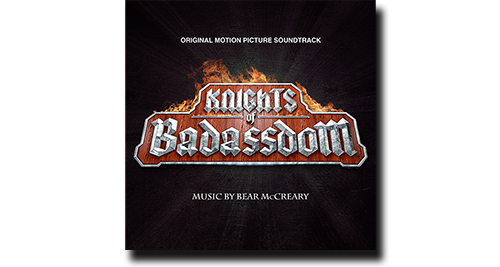 Until an Outlander soundtrack is one day released, Da Vinci’s Demons Season Two is the closest sound you can hear to that music in album format. INFLUENCE: My second collaboration with STARZ (and my second Emmy nomination earned from working with the network!) allowed me to discover new textures that would prove essential for Outlander. 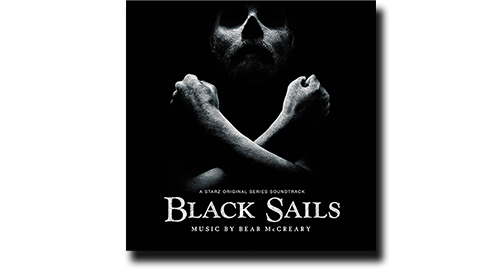 This score frequently draws from a similar body of historically-accurate source music because the series happens to take place a mere 30 years prior to Outlander. Tunes such as “The Parson’s Farewell” even prominently feature bagpipes and penny whistle. Emotional tracks such as “Funeral At Sea” are a wonderful example of how I strive to create big emotions with an intimate ensemble of period-appropriate instruments, a technique I will use frequently on Outlander. INFLUENCE: At a glance, you may not think a heavy-metal-horror-comedy would have any musical relevance to Outlander, but in fact, this score was the first to allow me to explore Renaissance and Scottish instrumentation to such extent. Underneath the double-kicks and drop-tuned electric guitars, an ensemble of bagpipes, penny whistle, folk guitars and recorders creates a genuinely-affecting Celtic mood. This score undeniably changed the way I wrote for Celtic instrumentation and had a profound influence on my work for Outlander. The album even begins and ends with a bagpipe solo! WHY: There is no better place to start getting to know my work than with Battlestar Galactica. This was my first professional job, and my first collaboration with Ron Moore and, as I already mentioned, the first time I ever wrote for bagpipes and incorporated Scottish cultural music into my own. The primary theme for the Adama Family became so connected with the penny whistle and the bagpipe that the instruments made appearances throughout every season. To this day, fans still write to me about the impact of this theme, so I know it must have resonated with people. The World of Steam: This short film score features intimate, thematic writing with a small orchestra, and one of my more evocative love themes ever. Listen to this from the top to the bottom. I think you’ll be swept away. Caprica: Another collaboration with Ron Moore, this BSG-prequel series never quite got off the ground the way the creators and fans hoped. Nevertheless, there are some truly beautiful moments in here. The cues from the pilot are all pretty damn gorgeous, and the extended CD includes a track called “Capricoperatica” that carries a strong, emotional narrative. Throughout the season, I will blog about my experiences working on this show as often as I can. With a new little baby in the house, my time for blogging is proving to be elusive, so I may not be able to do a full entry for each episode. Nevertheless, I look forward to hearing from all you, via Twitter, Facebook or comments right here on my blog. I want to know what themes you notice, which cues are your favorite, and what music you’d like to experience on a soundtrack album, should that one day come to fruition. Thank you all for inviting me into the clan. I hope you all enjoy this score as much as I have loved creating it!